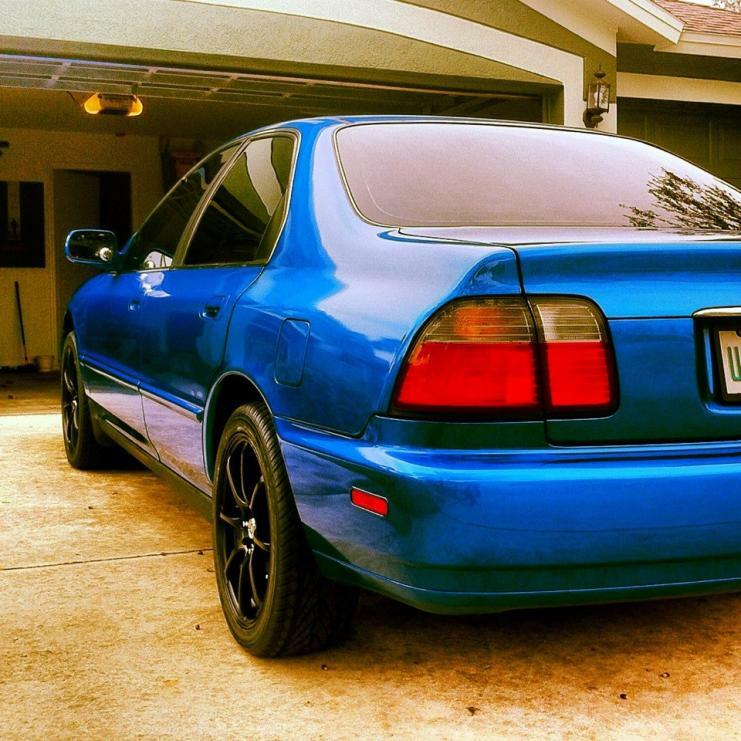 Hi everyone, I have a 97 Accord LX (CD5). It sits pretty ugly and I was wondering what set up I should go with, without spending an ungodly amount of money if I can avoid doing so. It's got 93,000 miles on it btw (crazy right?! ) and I'm pretty sure I need shocks or something first, whenever I go over speed bumps I can hear somewhat of a creaking sound. My main question is what do I need to get my wheels flush with the car? Coilovers? Lowering springs? Struts? What is your budget? Coil overs are definitely better than struts and springs. Function form cool overs are the best bang for the buck. I would love to have function form, and I don't really have a set budget in my head. I'm only inquiring because my birthday is coming in a few months and I just wanna see what I should go with. I still also want a smooth ride considering this is my DD. 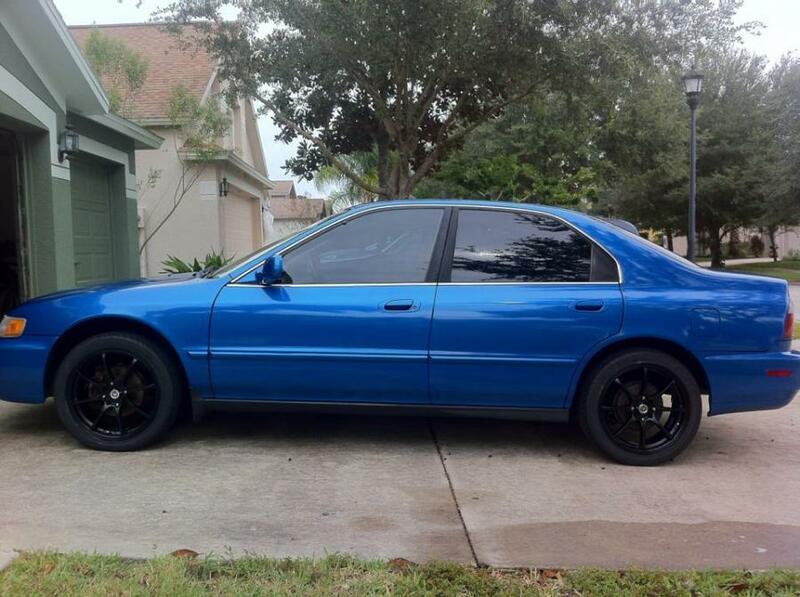 And if I were to get coilovers would I need struts/springs/etc? I'm not familiar with all the components except that I was told if I were to lower my car I'd need some CV joints because the stock ones wouldn't last after I dropped the car. Coilovers are a all in one unit. As long as you don't absolutely slam it your CV joints should be fine. A camber kit and an alignment is always a good idea though. If I didn't go with the coilovers what other options would I have? And would it be less than coilovers? I don't plan on slamming it either, just closing the gap between the wheel and fender. I do appreciate your help man! 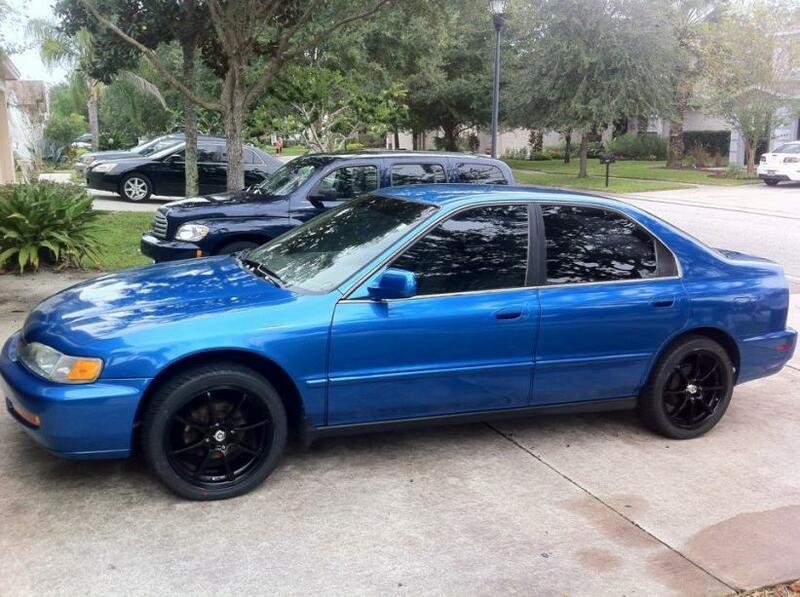 If you get regular lowering springs than I would get aftermarket struts to go with it. It will probably be a little less to do struts/springs than coilovers. Coil-Overs would be your best way to go because you can adjust the mostly from 0" to 4" and in between where ever you like the look. Okay, so if I were to go with struts and springs what are the most popular brands out there? I hear Koni struts are the most desired. What springs should I get? Like I said I still want a comfortable ride. This helps out a lot guys, thank you. Koni, kyb, bilstien are all good struts. For springs eibach is the most popular and best bang for the buck but it only lowers it about 2in which still is a little high on accords. Okay cool, what about Tein springs? Quick Reply: Coilovers? Lowering Springs? Can someone please help me?